Cornucopia Events™ presents a unique and innovative service: a dedicated team of international Personal Shoppers, ready to provide you with the ultimate shopping experience in the heart of Italy and a select other few countries. Available only to the most luxurious hotels and resorts in Europe and through selected travel partners around the globe. Cornucopia Events™ are offering a wide range of experiences including Image Consulting, Art and Design in Tuscany, shopping experiences in Florence, Versilia and Milan and plenty more packages. Beauty is not a given trait, it comes from the acceptance of your weak points and the exploitation of your strong ones. However, knowing how to use what you’ve got by pairing together the right colours and shapes is not always easy. So, put your trust in the hands of our professional consultants! Cornucopia Events™ will take care of your style by enhancing your overall look. We will start with a colour analysis to determine which tones best suit you and then pass to a figure analysis to understand which forms of clothing best shape your figure. We will conclude with a facial study to advise you on which make-up will bring out the most in your features and the hair cut and colour to compliment. At the end of the consultation you will be given your very own “look-book” full of notes, a colour palette that exalts your natural shades and snapshots of the outfits that really show-off your figure. You will receive all the tools you need to maximise your look and make you stand out, and best of all you will be able to keep them with you for times to come. 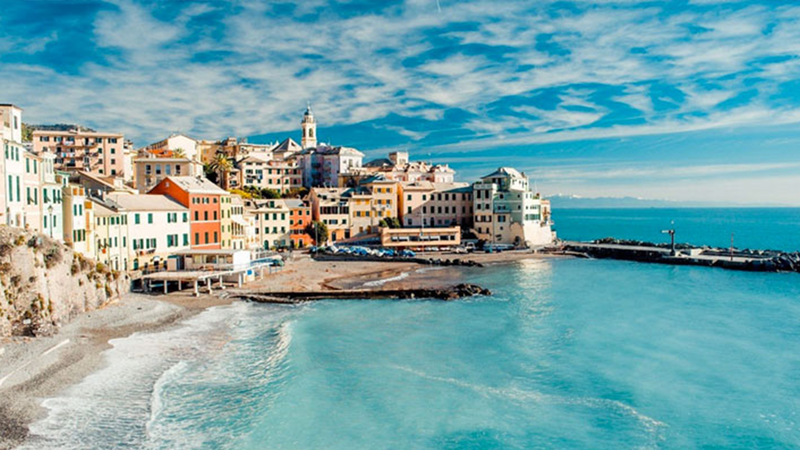 This service is available in: Milan, Florence, Forte Dei Marmi, Rome and the rest of Italy. Detailed workmanship that takes us back to another era where haste and frenzy were not the norms. Our artisans work like once upon a time and are a historic wealth for our country. Light fixtures created using old craftsman techniques right before your eyes, tables and chairs designed just for you, antique sculptures, mosaics, picture frames, furniture, paintings and much much more. A selection of hand-made masterpieces to take back home with you that will remind you of the time you’ve spent with us in one of the oldest, most beautiful and cherished cities in the world. This service is available in: Florence, Forte Dei Marmi, and the rest of Tuscany. For retailers from all over the world that deal in fashion, accessories and jewellery. We are offering you a very privileged entourage by opening the doors to the most selective and restrictive districts at extremely competitive prices. Access to this private tour is granted exclusively through Cornucopia Events. A trip around the fifth Fashion Stock Distributor in Europe, a commercial zone that spreads over thousands of square metres and covers more than 100 brand-names. For gold enthusiasts, you will find spots just as exclusive where you can purchase at highly competitive prices. Forget about the classic wholesale middlemen and head directly to where the outlets and boutiques stock up. Personalised assistance and interpreters are available in 12 languages leaving nothing to chance. Rules and conditions apply, for more information please contact management. This service is only available in Florence. Florence is the mother of several of the most important fashion maisons in the world (Salvatore Ferragamo, Stefano Ricci, Emilio Pucci, Patrizia Pepe, SaveTheQueen!, Roberto Cavalli, etc…) many of which have written the history of style and still to this day continue to set standards in the fashion world. The beautiful historic centre hosts the most famous designer boutiques, world-renowned, and makes a perfect paradise for a guest in search of thrills and excitement. Whether your wish is to revamp your wardrobe or expand it, let our Personal Shoppers lead you on an intense shopping escapade. Cornucopia Events will make the most of this day of shopping, guiding and advising you between the best boutiques in Florence, perfect to meet all of your wants and needs. Located a little more than 100 kilometers from Florence (and even easier to reach from neighbouring Pisa and Lucca) on the coast that wrote the story of the Italian “dolce vita” with its hip locales and crowded beaches Forte Dei Marmi in Versilia blossoms an unfamiliar scene widely unknown to many of the connoisseurs of luxury shopping and high-end Tuscan craftsmanship. In a strategic position, blessed with a wonderful climate and gathered up the way it is between the Majestic Apuan Alps and its sandy stretches, today Forte Dei Marmi in Versilia is a small boutique in a clear sky that covers the most important names in Italian and global designer wear (Salvatore Ferragamo, Philipp Plein, Patrizia Pepe, Save The Queen!, Stuart Weitzman, etc… just to name a few). But it doesn’t stop there… some of the most influential examples of craftsmanship (bijoux, footwear, etc..) made in Tuscany are born right here in Forte Dei Marmi in Versilia. Cornucopia Events will take you on a novel and relaxing walk in search of little big shopping attractions and clothing fit for all of your needs. In the evening, after lots of shopping, you get to relax on the shore by the sea. Milan: this is the place where designers and stylists from all over the world get together to brainstorm and vent their ideas freely, this is where, throughout the year, fashion catches a breath of fresh air at prominent top-of-the-line global events like Milan Fashion Week. Cornucopia Events hasn’t got the ordinary old tour in mind for you, one limited to the top signature brands, but instead we are on a quest to give you a more in-depth experience by introducing you to the thousand faces of trendy Milan. From the elegant fashion studios and showrooms of Milan designers, to the boutiques specialised in niche and leading-edge brands, all the way to the creations of the most innovated designers who have yet to pop up on the fashion scene of Made in Italy. You will take in all the charm a fashion capital like Milan has to give alongside a professional Personal Shopper ready to stimulate you with the most sought-after offers to fulfil your needs. A day dedicated to style, you will be taken on a rigorous and personalised journey to discover where innovation and culture cross paths revealing the most seductive side of shopping in Milan. The intimate connection between Fashion and Cinema make Rome an undisputed shopping destination in Italy. With the establishment of Cinecittà, Rome became an important point of reference in international show-business; and in high-end fashion even before that with the dawning, Cinema was closely tied to fashion, clothing in fact plays a fundamental role in expressing the essence it’s on-screen characters. A role that is no different for us who find ourselves on the set of our lives where how we dress makes the first impression. 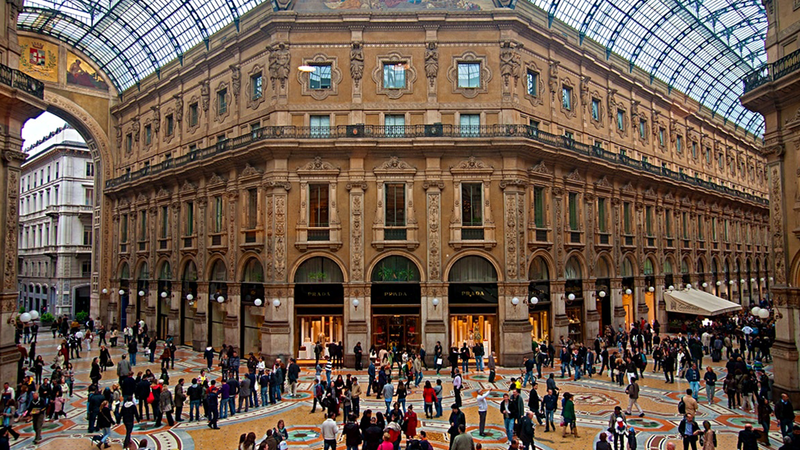 Shopping in the capital offers us some of the most authentic examples of Made In Italy. Cornucopia Events will guide you on a shopping spree fit for you. Our Personal Shoppers know how to best advise you on everything concerning your look. A selection from the area which has led us to identify the best offerings in the world of fabrics, glassmaking, and all that which makes Venice a very important destination for Italian craftsmanship. Exclusive offerings for a shopping experience which is focused on quality, personalisation, and the fulfilment of your wishes. Far from the mass-market tourist itineraries and scrupulously careful about privacy, Cornucopia Events can propose a personalised itinerary exclusively tailored to your needs. Whether you want to astonish your woman with an original, unexpected jewel, find new inspiration to furnish your home, or create something unique with the help of the best master craftsmen in Italy, we will always be able to reserve fantastic discoveries for you. Taking your girlfriend shopping isn’t your favourite pastime? Don’t let her down with a “no”, surprise her with a personalised shopping tour and the thrill of having a Personal Shopper that will take care of all her wants and wishes, escorting her around dozens of boutiques, shops and malls rush-free. Guys, Cornucopia Events is a couple’s winning compromise, it will satisfy all of her demands with some relaxing shopping and at the same time allow you some free time to enjoy the things you love. Sit back and relax, let us do the hard work! Just a small suggestion: make sure to set a budget with the Personal Shopper beforehand to avoid any BIG surprises! This service is available in: Florence, Forte Dei Marmi, Milan, Rome and the rest of Italy. The luxury of having a Personal Shopper of your very own to count on for reassuring and discrete recommendations regarding what best suits you and your situation is now a possibility. You will have all the brand names, from the most prestigious to those handcrafted, right at your fingertips. Suits, ties, shoes and custom-made shirts. Vast selections of suitcases for formal encounters, business trips or get-away vacations. If you don’t feel like drowning yourself in an afternoon of shopping, remember that our Personal Shoppers can meet you wherever you like with a selection of articles chosen just for you. This tour is the perfect choice for any man who wants to update and enhance his personal look. Give yourself a few days of relaxation with your closest friends before you tie the knot! Have you ever thought about a mini-escape designed just for you? Shopping, advanced beauty treatments in the most refined Italian spas, delicious food and outstanding entertainment… strictly for women only! Cornucopia Events proposes a fun alternative to the classic bachelorette party offering a series of services dedicated to you and your adventurous partners in crime. A very special way to get charged up together before the big day. We will handle it all for you: all you have to do is relax and enjoy yourselves with massages and some sound shopping! Some one-of-a-kind pampering to gift to yourself and share with your friends! This service is available in: Milan, Florence, Forte Dei Marmi and Rome. Undisputedly, the leading characters in the oldest Tuscan traditions have been leather and gold. Renowned jewellery stores and historic workshops are evidence of the inexhaustible work of our artisans and the most sophisticate and detailed craftsmanship techniques. With the ability to observe the masters at work, you can watch your chosen articles come to life right before your eyes. Our team of Personal Shoppers will help you select from the most precious jewels and leathers in Florence and Tuscany with access to workshops and factories. Not only will we give you the opportunity to chose from a vast assortment in various price-ranges but we will make sure you have something special to take back home with you. This tour is designed for real gold and leather connoisseurs, those who truly appreciate the maximum in quality. A shopping experience custom made to meet your needs. Thanks to the partnerships we have developed with some of the most important international fashion houses, we are able to offer you and your guests exclusive access to stores and showroom collections after hours. Stress-free, convention-free shopping in the welcoming atmosphere of a space reserved just for you with highly qualified personnel ready to advice and assist. Upon request it is possible to organise a private défilé. This service is available in: Florence, Milan and Forte Dei Marmi. Note: rules and conditions apply, contact management for more information. The world of high-quality watchmaking has a lure all of its own, which tends to be fairly unknown territory. Old-fashioned manufacturing techniques that romantically contrast with the frenzy of everyday life. Very few objects in the world reflect our personal elegance and essence like watches do. There are those who adore the pocket watch and others who prefer them on their wrists and still others who enjoy them as precious collector’s items or bring them out only on rare special occasions. Most people look for something unique and inimitable in watches. Today Cornucopia Events offers you the possibility to have your watch custom-made by some of the greatest French and Swiss watchmakers. This service is available in: France and Switzerland. Dedicated to refined taste buds, for those that demand more than just a stylish outfit, for those interested in high-end fashion in as much as it is synonymous with high quality and one-of-a-kind uniqueness. A service that today has enabled us to count on the availability of some of the name- brands in French and Italian fashion. Cornucopia Events offers you the possibility to own a one-of-a-kind outfit designed just for you. The guarantee that it’s the only piece in the world, designed for you by the greatest international stylists. An appointment behind closed doors where the designer and client come together to bring to life the outfit of your dreams. This service is available in: Milan, Forte Dei Marmi, Florence, Rome and Paris. Note: rules and conditions apply, contact management for more information.